← E-Cigarettes – Doing More Harm Than Good? We’re excited to announce that our website now houses a new holistic dentist before after gallery featuring Dr. David Villarreal’s work first hand! It is our personal goal to make sure this gallery is updated as frequently as possible with new cases from our very own patients that have enjoyed the expertise of the team here @ BioDental Healing. 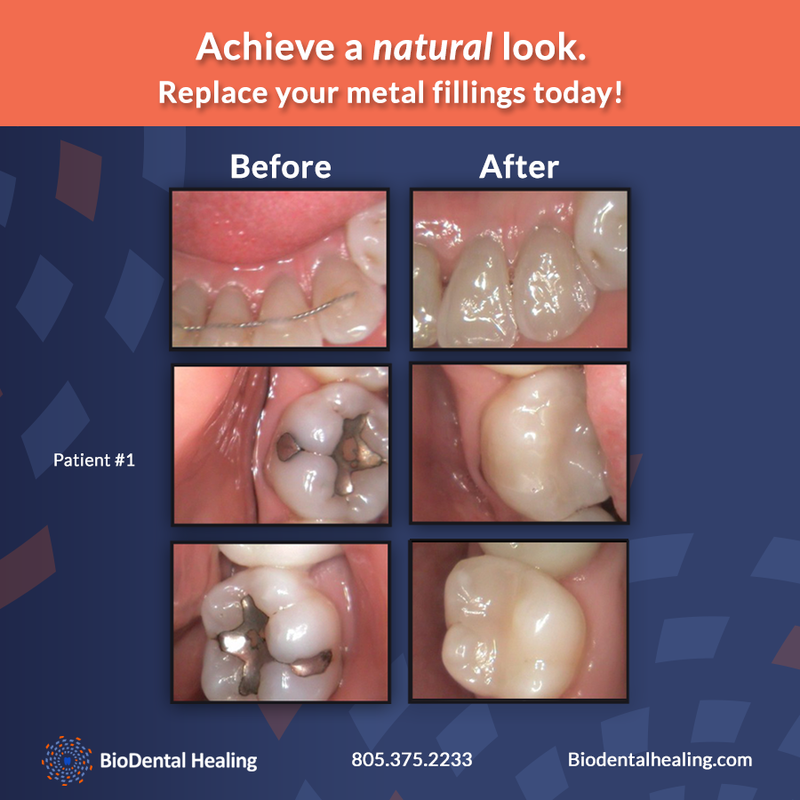 As you may be well aware of by now, Dr. Villarreal’s specialty remains in the very safe removal and replacement of mercury, amalgam fillings. Here’s a sample of the cosmetic and aesthetics differences that non-metal fillings can provide. The full before after gallery may be viewed here. This entry was posted in BioDental Healing, news and tagged Dr. Villarreal before after, holistic dentist before after photos, mercury filling before after. Bookmark the permalink.